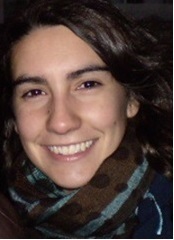 Ana Rita Soares has undergraduate degrees (bachelor and master) in Biomedical Engineering from the Faculty of Sciences of the University of Lisbon. Her PD-FCT AIM project is entitled “Integrated spintronic platforms for polymicrobial detection: clinical validation of diabetic foot infections”. The present proposal aims at developing a portable lab-on-chip platform based on phage recognition for bacteria detection from diabetic foot infections patient’s biopsy samples. This project takes place at INESC MN and Faculty of Pharmacy of the University of Lisbon in collaboration with Technophage and INL. The thesis is supervised by Susana Freitas (INESC MN and Department of Physics of Técnico) and co-supervised by João Gonçalves (iMed.ULisboa and Faculty of Pharmacy of the University of Lisbon). Her doctoral program started on October 1st 2016.